Most parents see Karaoke as just a fun distraction for their kids. However, a Karaoke set is more than just a fun toy; it actually helps your child’s development and psychological health in a number of ways you might not expect. 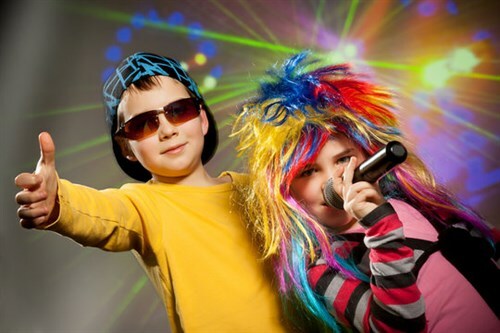 Here are just a few examples of the benefits of Karaoke for children. Firstly, Karaoke is a great way to get your children interested in music and to help them find their hidden talent for singing. While it starts as simply as singing along to their favorite artist, the melodies and beats will be running through your child’s brain and helping to develop their capacity for music. We already know that music is extremely beneficial to children in many different ways, and karaoke is a great way to further this. And who knows, this could be the first step towards getting singing lessons or studying a musical instrument! And even if your child doesn’t want to be a professional musician, any type of musical activity opens up their creative capacities and lets them express themselves. Secondly, Karaoke is a brilliant way for kids to express themselves and let off a little steam. Both kids and adults know it can be very therapeutic to make a little noise now and again. Karaoke can help relieve any stress or anxiety they may be feeling by them letting out a little emotion and also having a fun, positive experience. Singing is especially effective in this way as we breathe deeper and our blood pressure goes down when we sing. So if they’ve had a hard day at school or are worrying about that upcoming math test, a little session on the Karaoke machine might be just what the doctor ordered. Similarly, it can be a great confidence boost to a shy or nervous child. Through singing out loud in front of other people, their confidence can start to improve, and they will feel accepted by others. Also, giving a brilliant rendition of their favorite song for mum and dad or for their friends can help them feel secure about having other people around them. While your children are having a blast singing along to the latest pop tunes, the Karaoke machine is actually helping them in their cognitive development too. Having to follow the lyrics on the screen and sing in time with the rhythm helps them develop their skills of observation and their concentration, and by gradually being able to sing in tune, they are turning their ears musically. There are all factors which will help them both academically and socially. We also love the way Karaoke can be such an active activity. So many parents worry that their children spend all day sitting in front of screens or looking at electronic devices. Karaoke is a brilliant excuse to get them up and moving, and they will love to dance and bop along as they sing. Better still, you can teach them fun dance routines too. Karaoke for kids will be a great way to get them active and burning off some of that crazy energy kids have. They also make for some wonderful and hilarious birthday party games. Finally, and we really can’t stress this one enough, Karaoke is a brilliant activity that the whole family can enjoy. It is a brilliant way to bring all the generations of the family together, grandparents, parents, and children, and really have a good time. Karaoke machines are loud and fun and will have the whole family in stitches of laughter over Christmas and Thanksgiving. All in all, by getting a Karaoke set for your children, you’re not just giving them a fun way to distract themselves for a few hours. You are helping them build confidence and their ability to observe and concentrate. You are giving them a healthy way to express themselves and let off some steam. You’re giving them a chance to get inspired by music and discover their talents for singing or playing instruments. And its not just for the kids; the whole family will have a blast enjoying this great gift together.